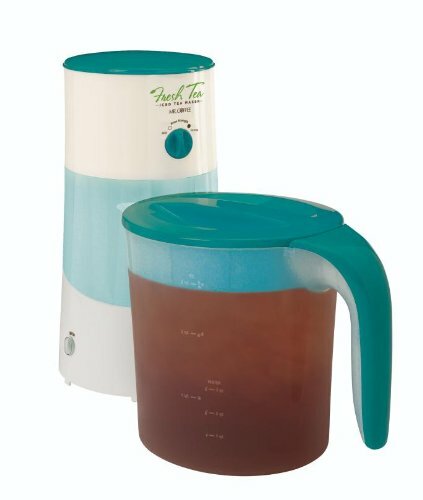 Color: Teal Splash Infuse flavors in minutes. make refreshing iced tea at home. just brew yourfavorite tea, add fresh fruits and any other special ingredients to createyour own customized blend. dishwasher safe 3-Quart pitcher that brews tea bagsor tea leaves, has adjustable brew strength feature, includes automatic shut-off feature and is great for iced coffee too.